Enter the thrilling third volume in the epic Collegium Chronicles. 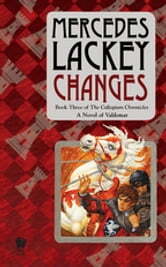 In Mercedes Lackey's classic coming-of-age story, the orphan Magpie pursues his quest for his parent's identity with burning urgency-while also discovering another hidden talent and being trained by the King's Own Herald as an undercover agent for Valdemar. Shy Bardic Trainee Lena has to face her famous but uncaring father, one of Valdemar's most renowned Bards. And Healing Trainee Bear must struggle against his disapproving parents, who are pressuring Bear to quit the Healers' Collegium because he lacks the magical Healing Gift. Each of the three friends must face his or her demons and find their true strength as they seek to become the full Heralds, Bards, and Healers of Valdemar. 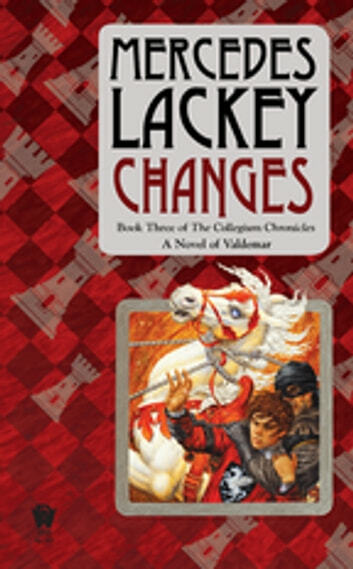 Although I love the Valdemar saga, one of my favorite series that I go back to over and over again, I have to admit that this this installment of the Collegium Chronicles is my least favorite thus far. I still love Mags, as well his friends Lena and Bear, but this particular book dragged for me. Although his quest to find answers about his past was the focus of the novel, I think I enjoyed the stories of Lena and Bear and other characters more. Their stories had much more of an arc to them, whereas the main point of Mags' storyline was simply a carry-over from the previous novel. The other thing that dampened my enjoyment was Mags' dialogue. This is the third book into the series and, if anything, his accent was worse. And that made reading difficult sometimes as I had to stop to puzzle out exactly what it was that he was saying. I understand the point behind the accent, but it was almost unreadable at times My Recommendation While this is not my favorite book in the series, I still feel that it is an importa part of the saga as hold. It is also a necessary read for the next two in the series. Best of the collegium lot so far!